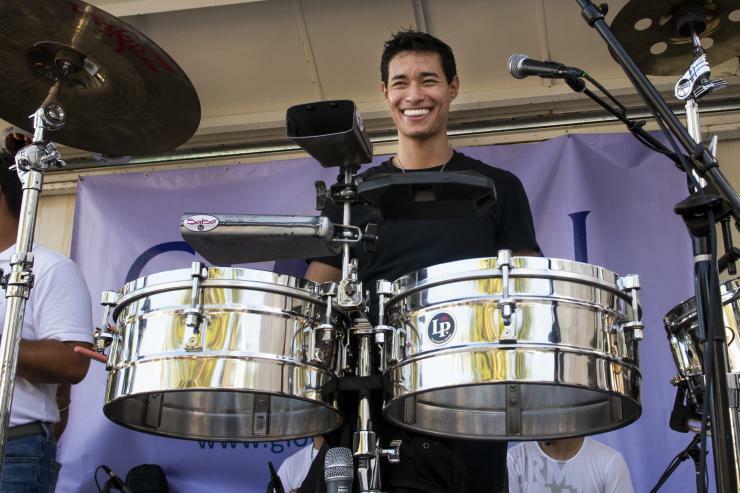 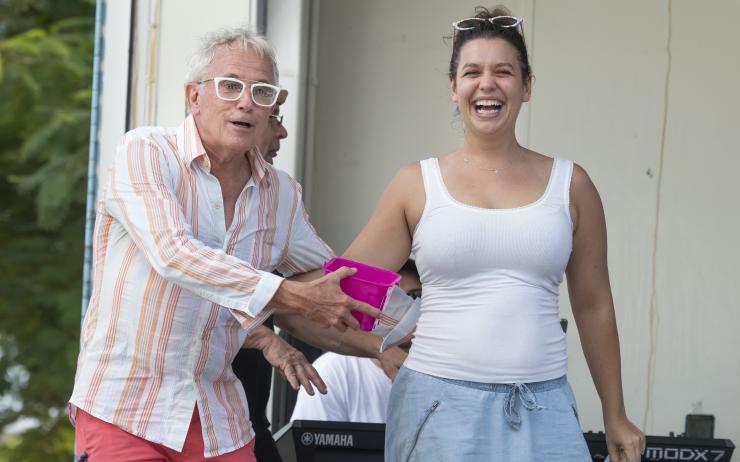 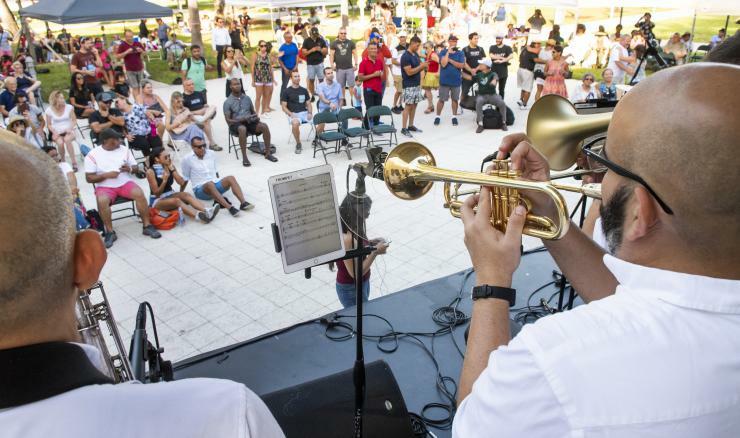 Artscape Concert Series with the Tony Succar Mixtura Band and The Joe Paz quartet in Miami Beach Pictures. 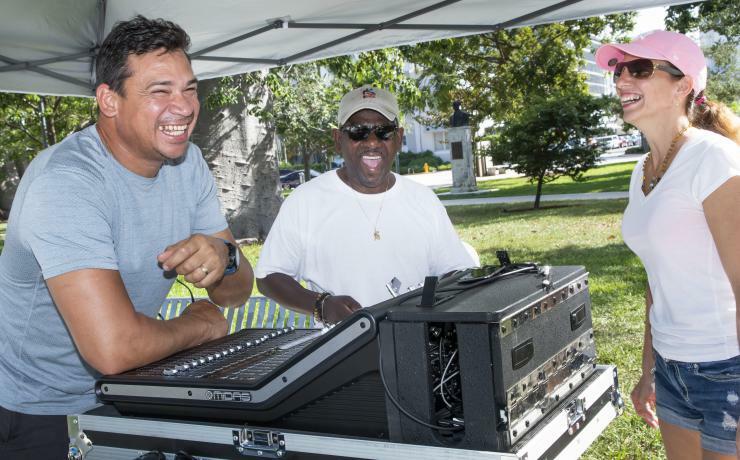 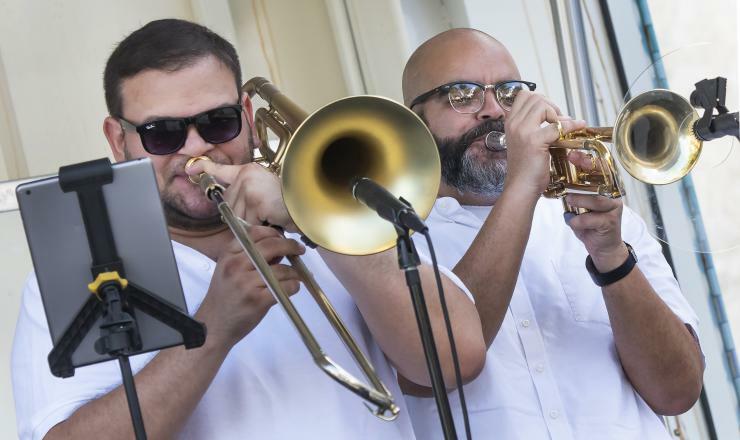 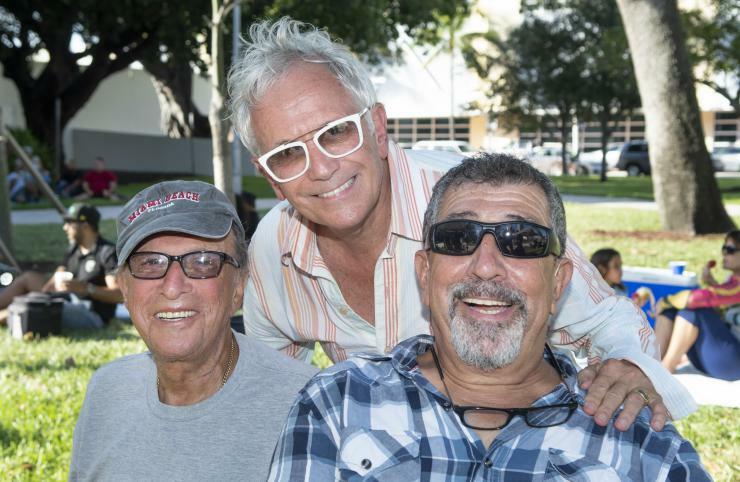 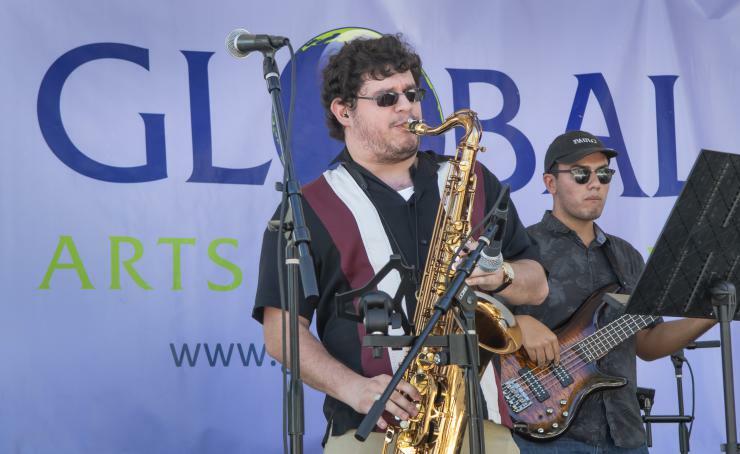 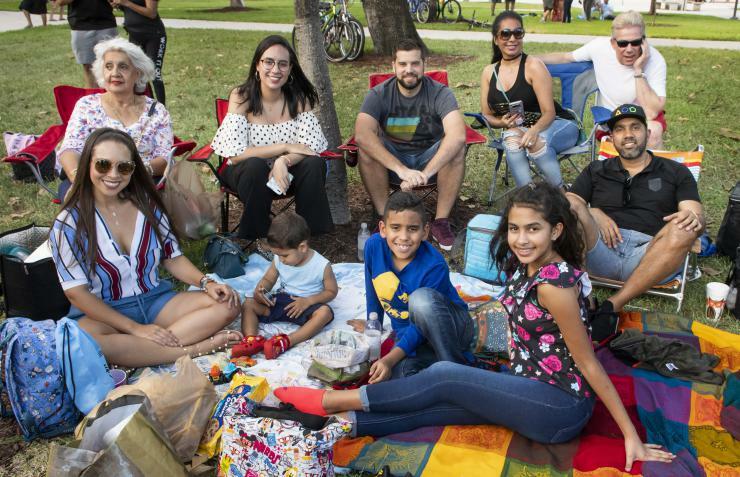 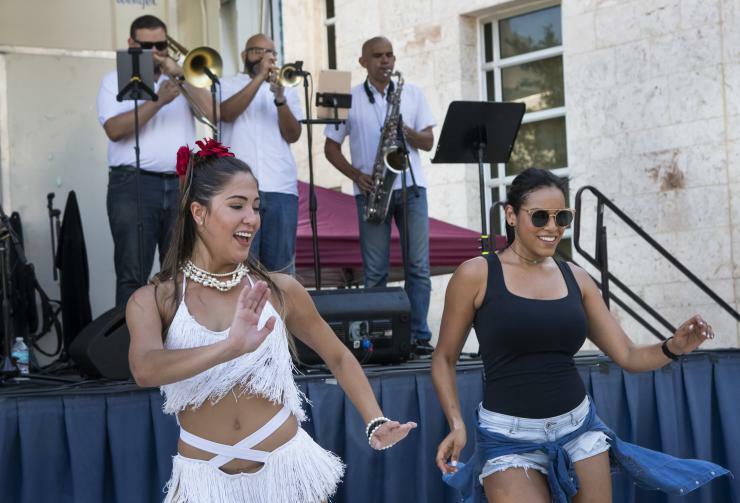 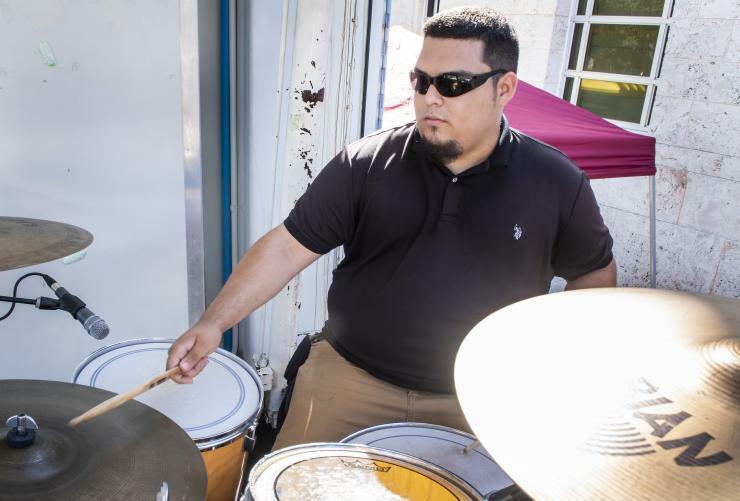 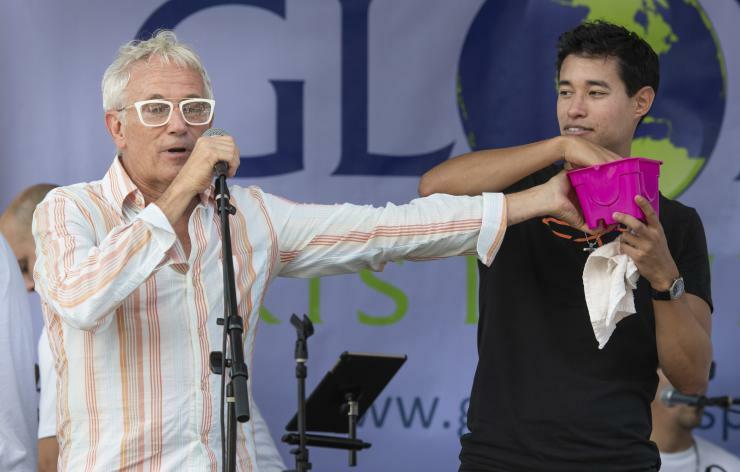 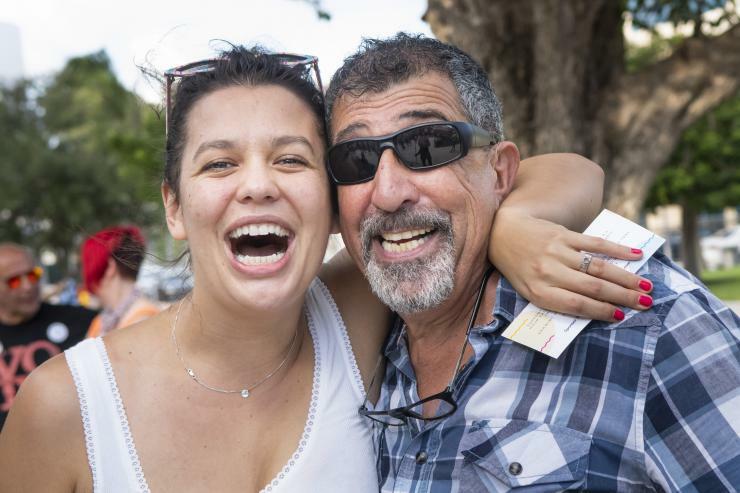 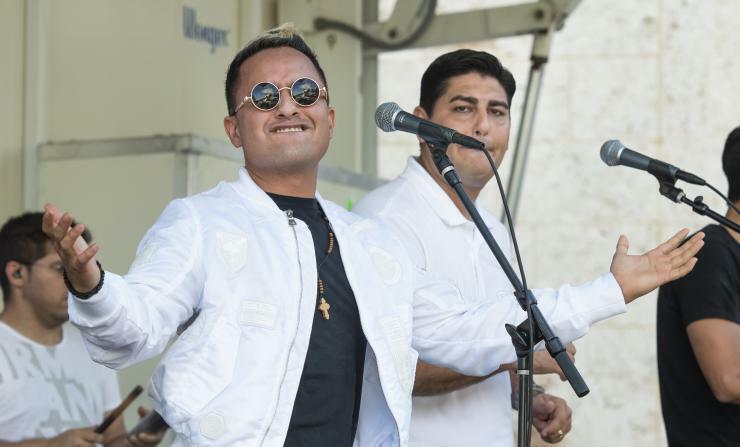 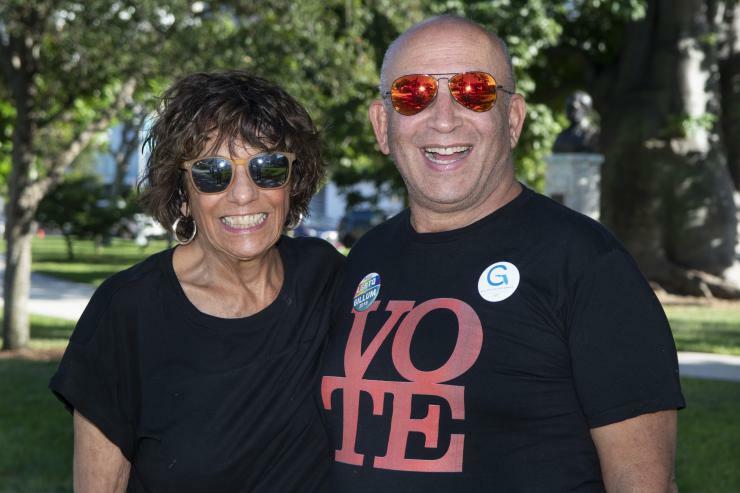 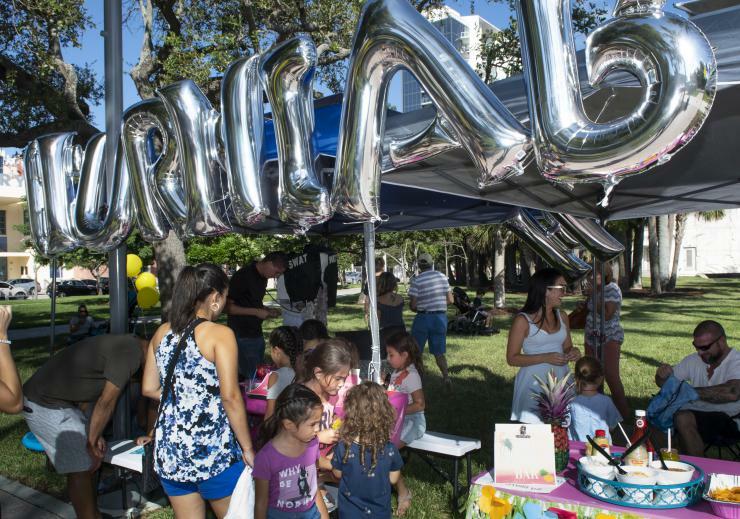 The Global Arts Project and the Collins Park Neighborhood Association presented the season finale Tony Succar Mixtura Band and The Joe Paz Quartet as the opener on Sunday, September 30th, 2018 at Collins Park next to the Bass Museum in Miami Beach. 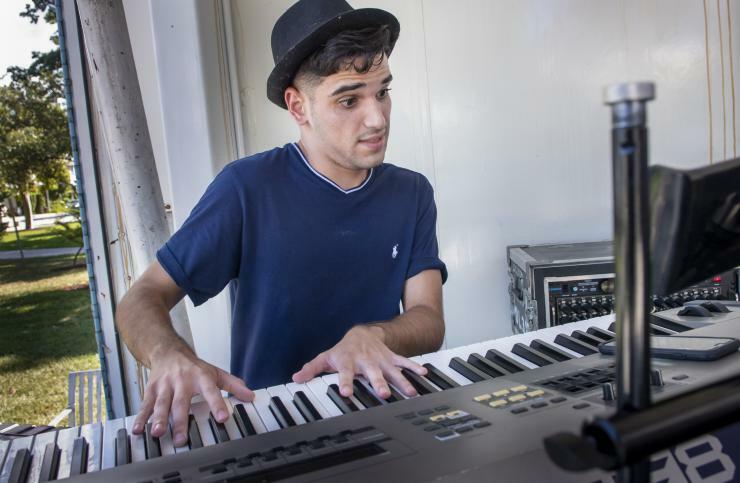 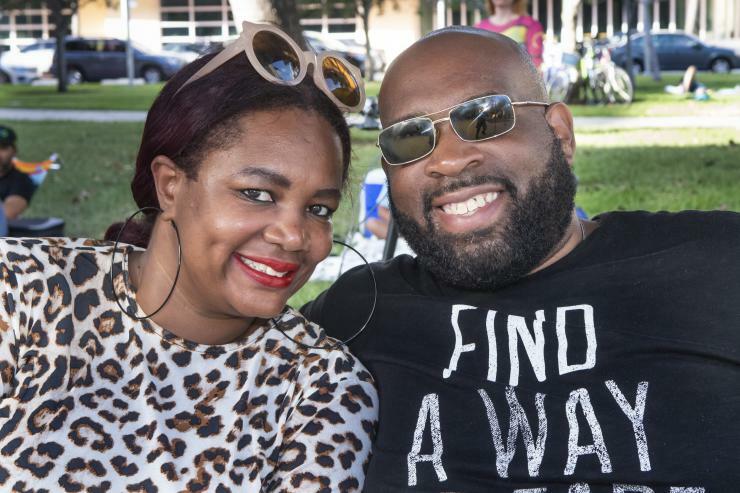 The concert was featured as apart of the Artscape Concert Series. 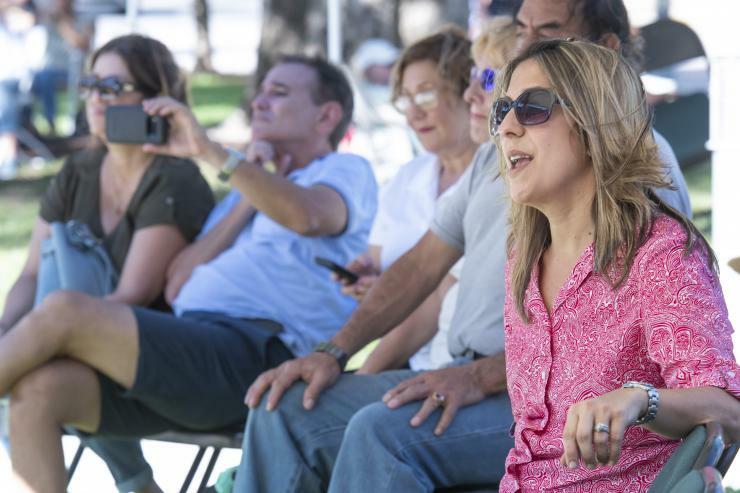 Audience members, as apart of the event, helped to celebrate Hispanic Heritage Month while enjoying the sounds of the The Joe Paz quartet and Tony Succar Mixtura band with Succar's music influenced by Arturo Sandoval, Néstor Torres, Tania Libertad, Richie Zellon, Mike Orta, Gilberto Santa Rosa, Tito Roja and many others. 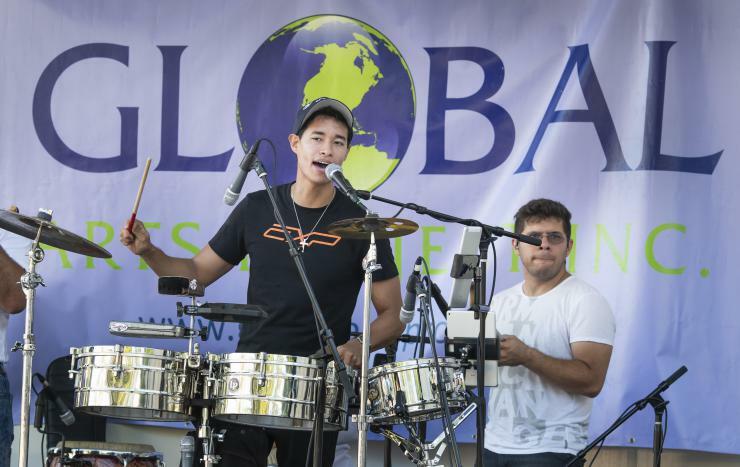 Featured Tony Succar Mixtura band expert salsa dancers accompanied the band and interacted with audience members. 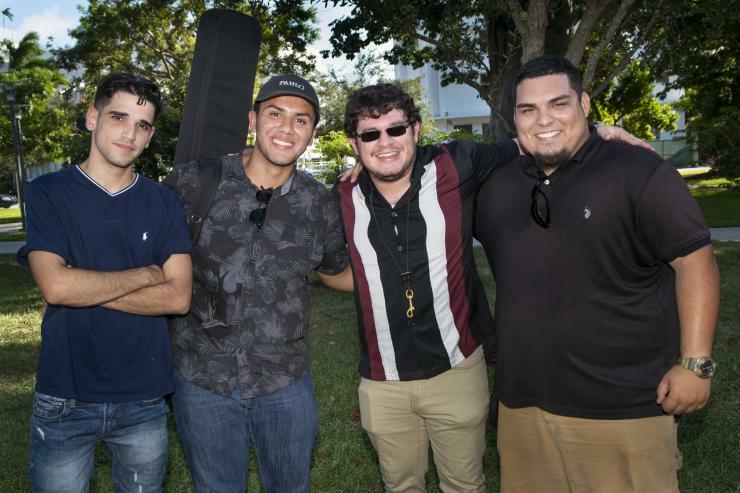 As part of GAP's educational outreach program, the Sunday concert opened with a set by students, The Joe Paz Quartet of Dr Ed Calle. 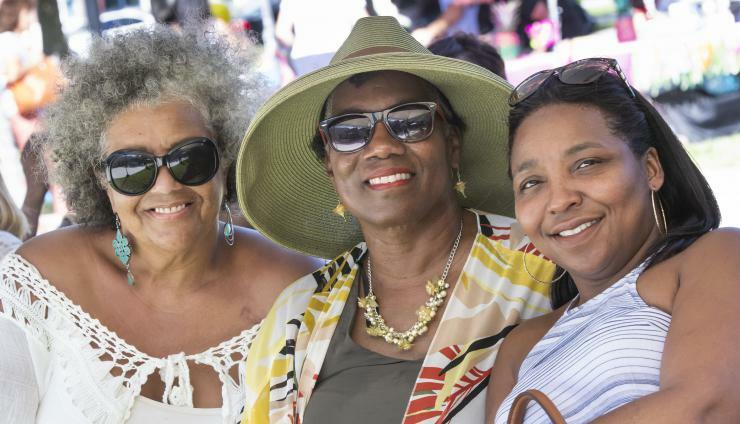 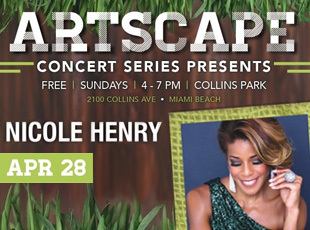 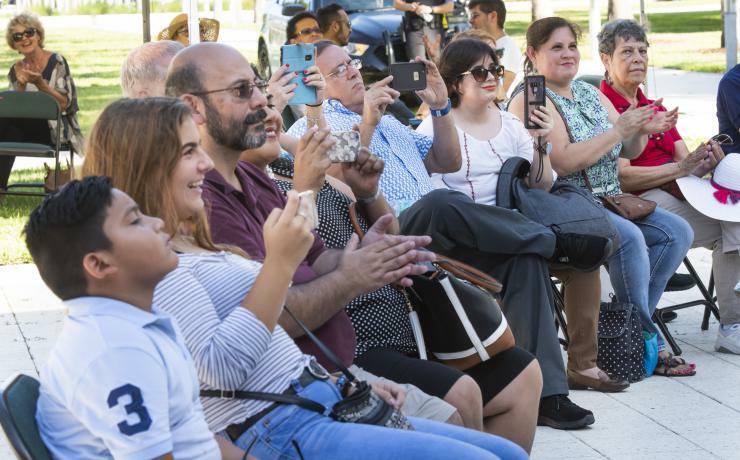 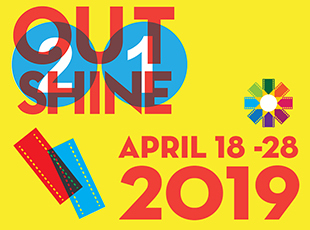 The Artscape concert series will start next in its 4th season on Feb 24th, 2019 at Collins Park in Miami Beach and will continue to be free admission.